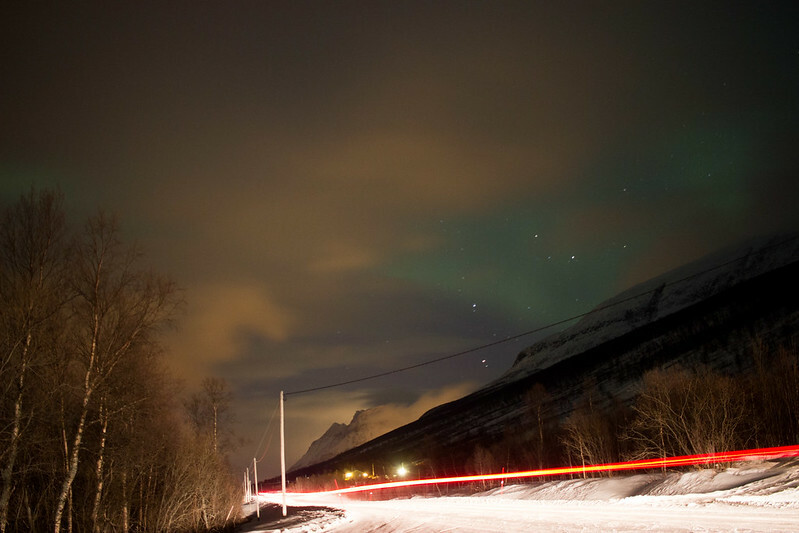 The next night you go on an organized chase, away from cloudy Tromso to the other side of the Lyngen Alps. 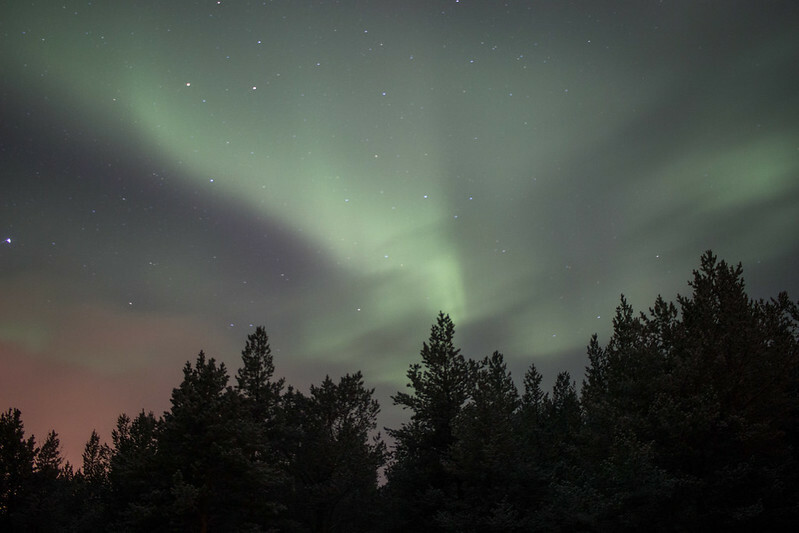 Your guide, Marcus, does everything he can to find you some northern lights activity. He clearly wants to find you something amazing. You stop by the side of the road; the activity is picking up. You see pale green streaks again. Your camera is better at catching them than your eye is. Your next stop is a valley near the Finnish border. The lights show up again. A little bit brighter but still not as bright as you expected. A bit of disappointment creeps in but you’re surrounded by quiet and shooting stars because you had the great fortune to be born during the Geminid meteor shower. 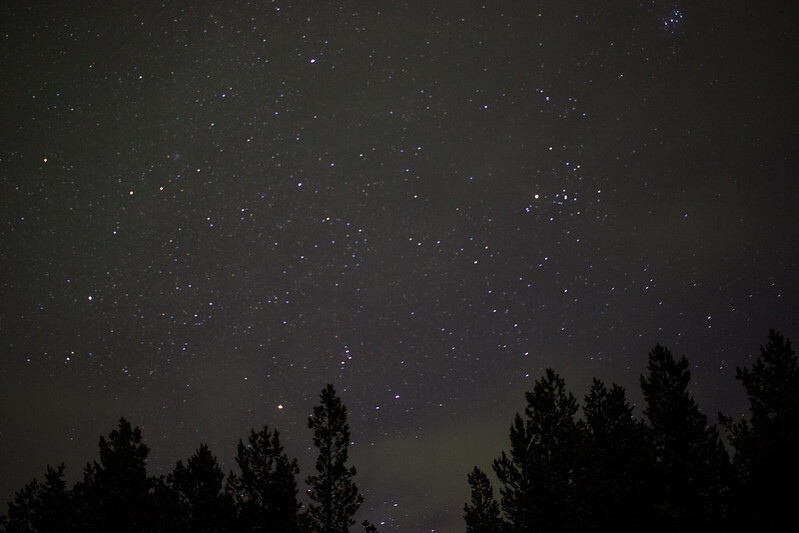 So while the lights may not be as bright as you expected the stars are far brighter and more numerous. You see the Pleiades and the Milky Way. 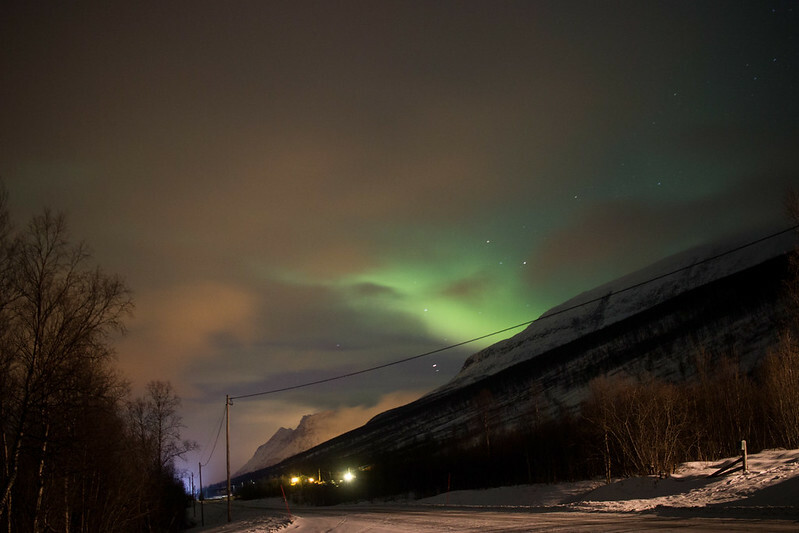 A bright green streak appears across the sky. That will be your last glimpse for the rest of the trip. Snow is coming and the risk of avalanches is high. Marcus is disappointed on the way back. He keeps clicking his headlamp and checking reports to see if anything is coming. Nothing does. But you are not disappointed. Nature does what it wants and you can only try to put yourself in the best situation to see what you can. Logistics: Explore the Arctic provides transportation, a delicious dinner, warm thermal suits, boots, hand warmers, tripods, and Marcus Ahlund, one of the best guides around. I fully recommend going with him on a northern lights chase. Dan Steinbakk of Arctic Experience is also another excellent option. He freely and honestly answered my questions despite the fact that I never went on his tour.